Being of Italian descent and having studied in Bologna, I always thought of myself as a Mediterranean type of girl. I didn’t think Northern Europe would strike much of a chord or hold too much interest for me. That is, until I first set foot in Stockholm! This capital city is in many ways a dream-come-true for any artsy type with a penchant for cool design, wholesome food and excellent coffee. 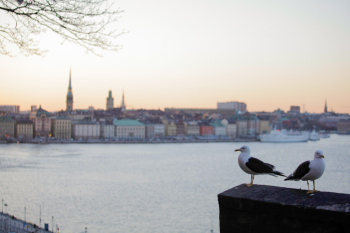 The city is simply a Boho haven and during our visit we opted to stay in the trendy neighborhood of Sodermalm, filled with small boutiques, cafés and organic bakeries. Was it verging on Hipster-esque? Definitely. But we certainly loved every minute of it! 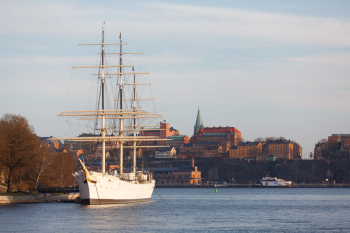 We traveled to Stockholm in April and much to our surprise it turned out to be the perfect season for a visit. Each day of our trip was clear and sunny, and the light was so bright and pure that we just couldn’t get enough of it. 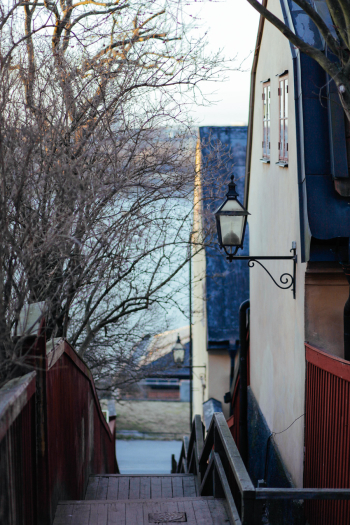 We explored the small cobbled streets in the central island of Gamla Stan and bought age-old hand-painted porcelain and a fur hat at the Stadsmission. And of course, we couldn’t visit Stockholm without heading to Fotografiska to marvel at the photography collections. After a cold and grey Berlin winter, the warmth was heaven for us! We strolled through the light-filled forests by the water in Djurgarden and had cake in Rosendal’s Gardens bakery, a beautiful bio-dynamic garden. We rented public bikes and rode from island to island, every now and then stopping for excellent coffee (like those enjoyed at il Caffè) and Kanelbullar, the tasty and traditional Swedish cinnamon rolls. 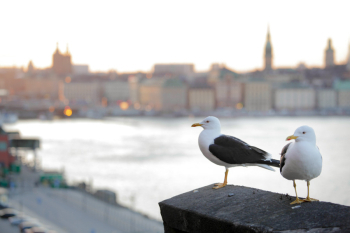 I know that what we saw during our short trip to Stockholm was just a small part of what the city has to offer. So at the earliest possible opportunity we’ll be returning to Sweden for another taste of the light, the streets, the sights, and the Kanelbullar! 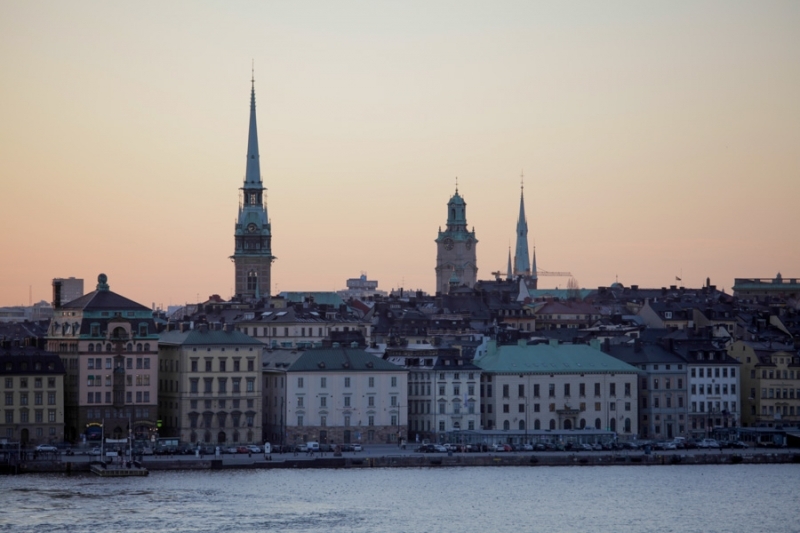 Stockholm is a city on the water. 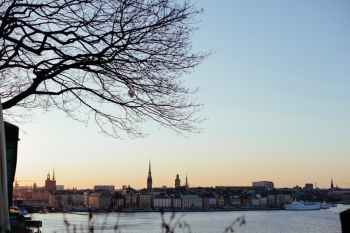 Walk through the forests of Djurgarden for a delightful afternoon on the waterfront and visit the city’s Old Town of Gamla Stan for a cultural day. For unique gifts (for yourself and others! ), visit the Stadmission. Spend hours, or even days, enjoying the exhibits at Fotografiska, Stockholm’s infamous photography museum. 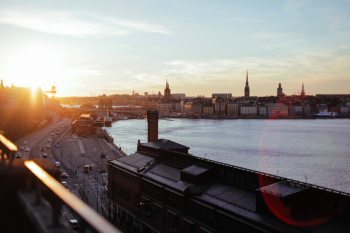 For great shopping and a vibrant experience, we suggest spending some time in the neighborhood of Sodermalm. Teresa Marenzi and Daniel Bachler of Iconoclash Photography are a husband and wife team of photographers based in Berlin, Germany. Traveling for almost all of their assignments – including destination weddings, portraits, and personal projects – they love the side effects of their job: admiring the masterworks in the Uffizi in Florence, hiking the mountains in Switzerland, marveling at architecture in Moscow, scouring for vintage finds in Nice and strolling through the streets of their native Vienna, Austria.